I can fix them. There's also erroneous data which triggers false alerts, so this requires sharp skills to see through the data and use the indicator.. This indicator can detect the high/low of the week/day/4H,1H,30min (check last image for details). I will provide further tests on this. This happens when the blueline stands exactly between the orange and greyline, the market tends to stop and reverse or at least stop. This indicator will be updated in stages to provide automatic detection of these levels. in the meantime you can visually check the pattern. 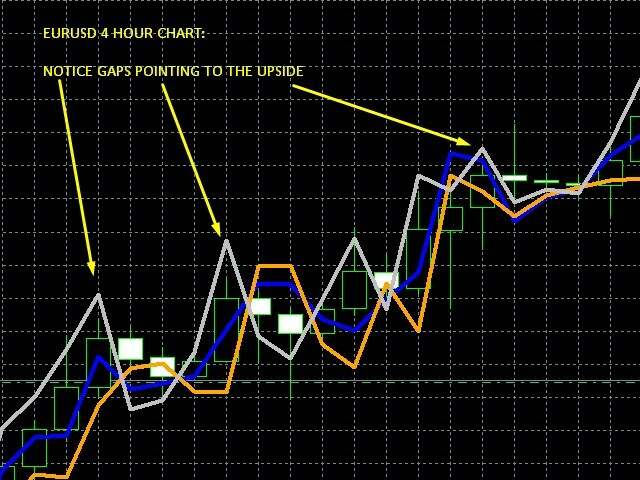 (I do it myself on the 30min-4H chart, I click on the chart twice to avoid erroneous data, then I stay on one time frame, or may switch to a shorter one halfway through). when x equals y, the high or low of the period in question has been made! I have allowed for a tolerance of around 5%. 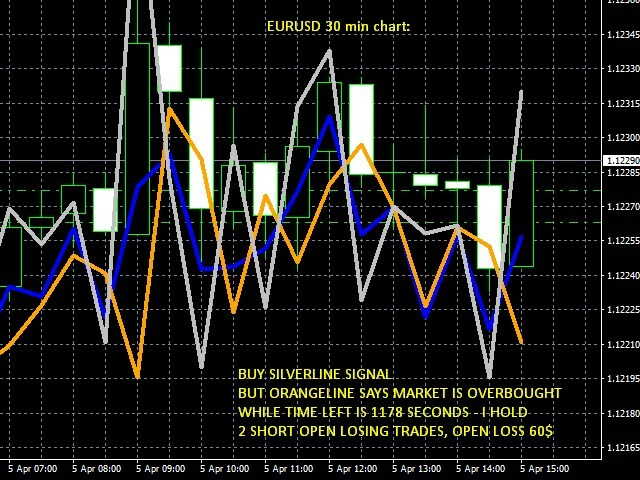 real time strentgh of EURUSD. soon reverse. Or consider play both sides. The orangeline tells you if the specific candle is overbought relative to the matrix pairs. profit occurs at those levels. frames, but also automated warnngs in all time frames. Plus additional readings. This makes it easier for new traders to use, more interesting too.